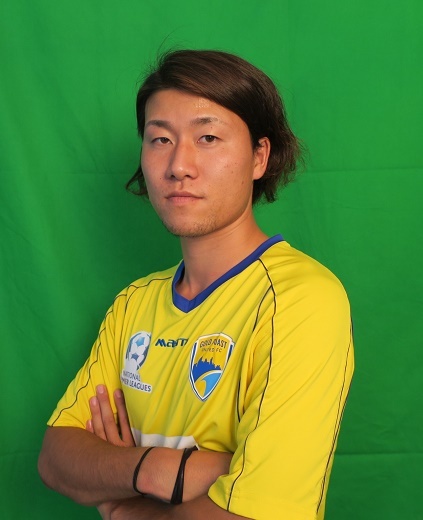 Kristian Rees has turned to Japanese player Junya Yabe to bolster his defensive stocks ahead of the 2019 National Premier Leagues Queensland season start. Yabe (24) played in the top University League in Japan from 2013 to 2016 before joining Briobecca Urayasu in the Japanese Football League in 2017. Junya arrived in Australia in 2018 and made 3 appearances for Wynnum Wolves in the Football Queensland Premier League before a mid-season switch to the Ipswich Knights where he made 10 first team FQPL appearances. Wanting to test himself at the next level, Yabe trialled with United and did more than enough to impress Rees who offered him a spot in United’s 2019 squad. “The opportunity came up for him to train with us and as his fitness improved over pre-season he’s gone from strength to strength. Yabe prides himself on his ability to maintain possession and on his distribution to players. He gets an opportunity to continue to impress in the United’s first-up Round 1 encounter against Moreton Bay on Saturday at Wolter Park. United and ready for 2019!